ANN ARBOR, Mich. - Michigan fans are still locked into football season as Jim Harbaugh's team continues to fight for a spot in the College Football Playoff. But don't forget John Beilein's team, which will officially open the season Tuesday after raising a pair of banners to the rafters at the Crisler Center. 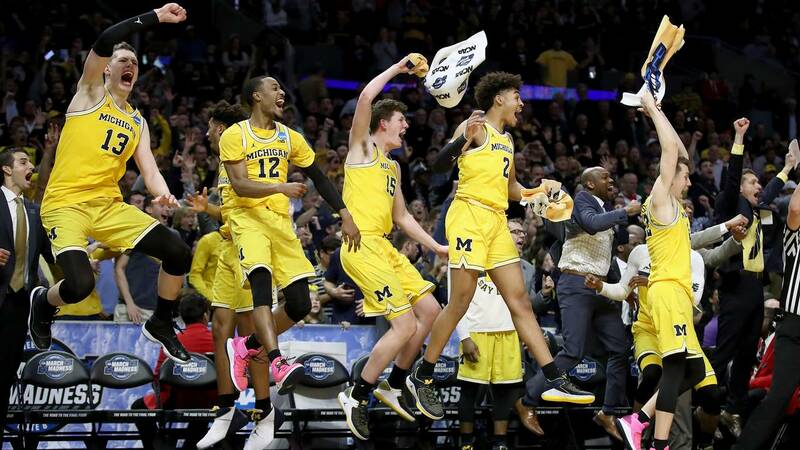 The Wolverines are coming off a second straight Big Ten Tournament championship and a trip to the national championship game. 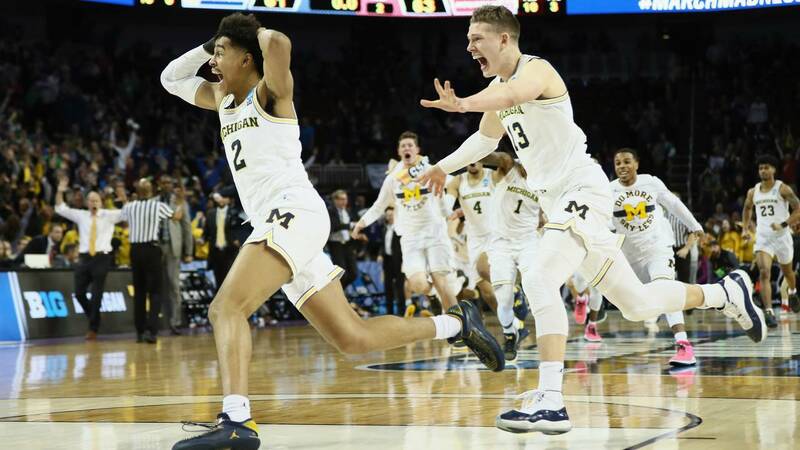 Three major pieces of that team -- Moe Wagner, Muhammad-Ali Abdur-Rahkman and Duncan Robinson -- are gone, but Beilein still has plenty of talent on the 2018-19 roster. Michigan's second-leading scorer returns for a second season in Ann Arbor after flirting with the NBA draft. Matthews averaged 13 points, 5.5 rebounds and 2.4 assists per game last year after sitting out the 2016-17 season due to transfer rules. He was one of the few Michigan players who made a concerted effort to get to the rim and finish in the paint. The major area for improvement for Matthews is his shooting touch, as he made just 55.8 percent of his free-throw attempts and 31.8 percent of his 3-point attempts a year ago. Matthews will be one of the team's vocal and emotional leaders this season as one of only two returning starters. Michigan's other leader will be Simpson, who returns after solidifying himself as the starting point guard late last year. Simpson is one of the best defensive guard in the country, and he got better on offense, averaging 3.7 assists per game. Like Matthews, Simpson's weakness is shooting, as he shot 51.6 percent from the free-throw line and 28.6 percent from the 3-point line. Simpson can get to the basket and has great court vision on the offensive end, but his true value is the tone he sets on the defensive end. 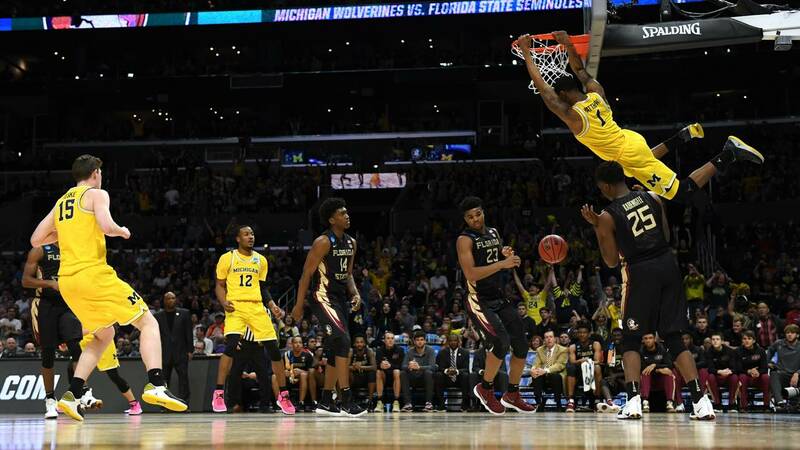 He's the kind of player who takes the court with a scowl and a chip on his shoulder, and Michigan's defensive identity will be molded by Simpson and Matthews. A fan favorite and NCAA Tournament phenom, Poole had an up-and-down freshman season. Poole is an excellent shooter, hitting 37 percent of this threes last season and shooting 42.9 percent from the floor. Poole also has good handles and can get around defenders to get his own shot or find teammates. The reason Poole only averaged 12.2 minutes per game last season is he occasional defensive breakdown or mental lapse on the offensive end. He was a true freshman, so those mistakes were understandable. Now, as a starter, Poole will be expected to play more consistently on both ends. It's also critical that he shoots well from beyond the arc, as Beilein's team will be starved for 3-point shooting. A starter for part of his true freshman season, Livers struggled to regain his rhythm after being injured against Northwestern. Livers was one of the top high school players to come out of Michigan last year, and even though he's not expected to start, he's a critical two-way player off the bench. Livers bought into Michigan's defensive philosophy last season and, at 6-foot-7, could guard forwards inside or guards around the arc. He's also an excellent athlete, which he proved during the exhibition game against Northwood, when he threw down five alley-oop dunks. 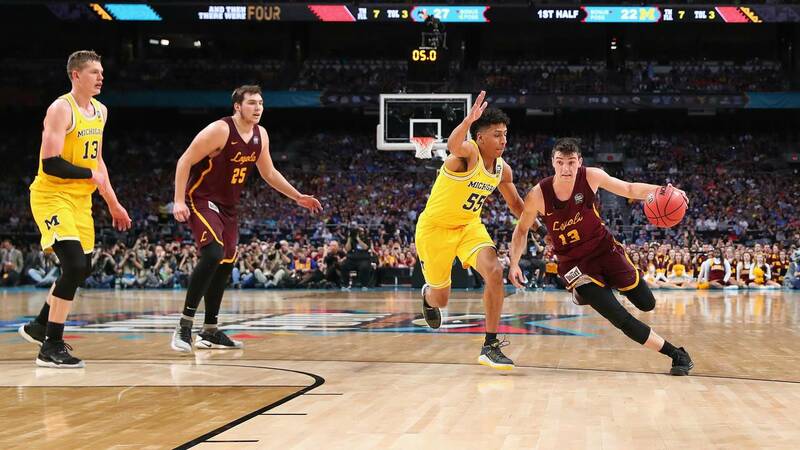 As a 36.2 percent 3-point shooter a year ago and a solid defender, Livers needs to take a step forward and be an all-around solid player off the bench for Beilein. It wasn't easy to backup a generational player like Wagner, but Teske did a nice job when called up last season. Teske is very athletic for a 7-foot-1 center, and even drilled a straightaway 3-pointer against Northwood. He won't be asked to shoot as often as Wagner did a year ago, but if Teske can make opponents respect his range, it will open up the lane for an improved group of slashers. 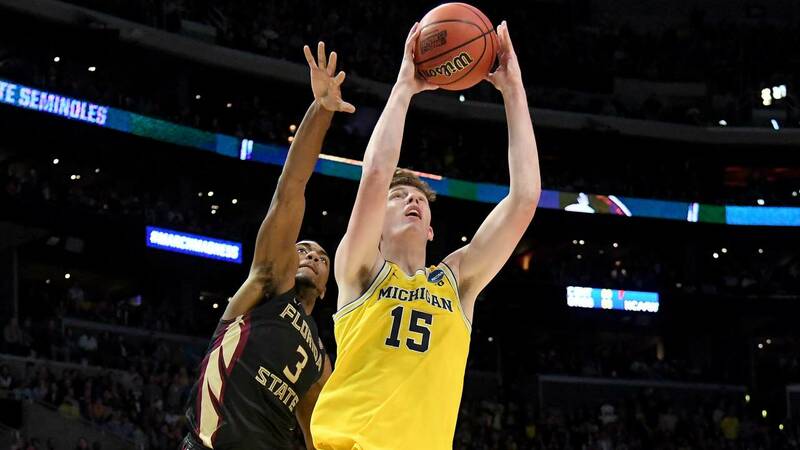 He was a very good defender and solid finisher around the rim last season, but the question is whether Teske can be as effective playing 20-plus minutes per game against opposing starters. No matter how well Teske plays, his replacement of Wagner will change the dynamic of Michigan's offense this season. Brooks had a strange season as a true freshman coming into Ann Arbor as a three-star recruit. At first, he was the starting point guard. Then, by the end of the year, he was barely getting any time on the court. His future with the Wolverines was unclear after the magical NCAA Tournament run came to an end. But Beilein praised Brooks' improvement during the offseason, and the sophomore is now in the mix at shooting guard. During the exhibition game against Northwood, Brooks was one of the first players off the bench and played a majority of his minutes alongside Simpson. Brooks needs to be effective from outside to earn time at the shooting guard position, especially since that's what the starting lineup appears to lack on offense. With Wagner playing 27.6 minutes per game and Teske 12.3 minutes per game, Davis didn't see the court much last season. But he's moved up the depth chart at center, and will be one of the primary backups to Teske. Fouls are a major issue for Davis, as he picked up multiple fouls in every game in which he logged at least four minutes. Davis is a good rebounder, but not much of an offensive threat. If he struggles early in the season, Beilein might elect to go small when Teske needs a break. The highest ranked player in Beilein's 12th-ranked 2018 recruiting class, Brazdeikis is expected to make a major impact on the Wolverines right away. During the exhibition game, Brazdeikis showed he's a pure scorer who's looking to get to the rim whenever the ball's in his hands. Without three of Michigan's best scorers from a year ago, Beilein needs someone to fill that void. Brazdeikis needs to prove he can shoot from the outside, but he can already get inside and finish as well as anyone on Michigan's roster. Don't be surprised if the true freshman is one of Michigan's leading scorers this season. The No. 2 player in the state of Michigan last year, Johns left East Lansing to join Beilein's excellent class. The four-star power forward played some center for Michigan against Northwood, so it appears Beilein will take advantage of his size and versatility. He's an undersized center at 6-foot-8, but his quickness and shooting ability would fit into that role in Michigan's offense. 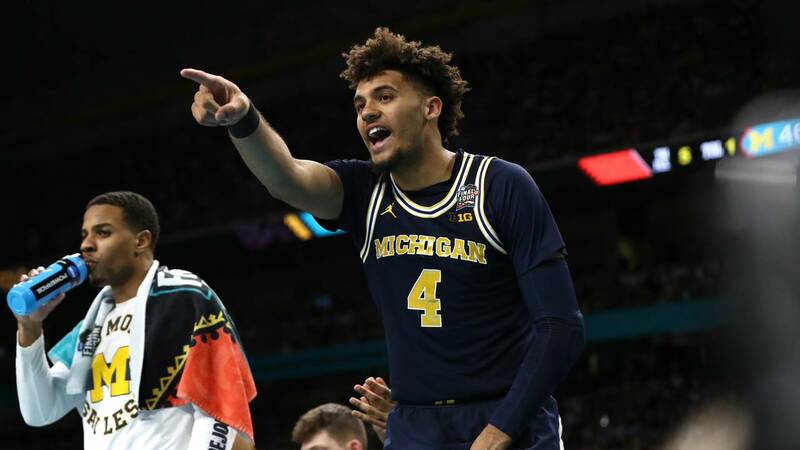 Johns is the perfect player for Michigan to add to the mix after losing Wagner and Robinson, as he figures to be one of the team's best size-shooting combinations off the bench. He only scored two points against Northwood, but DeJulius will be in the mix at point guard behind Simpson. The true freshman was the No. 19 point guard in the country and the No. 5 player from Michigan, so he can contribute right away. 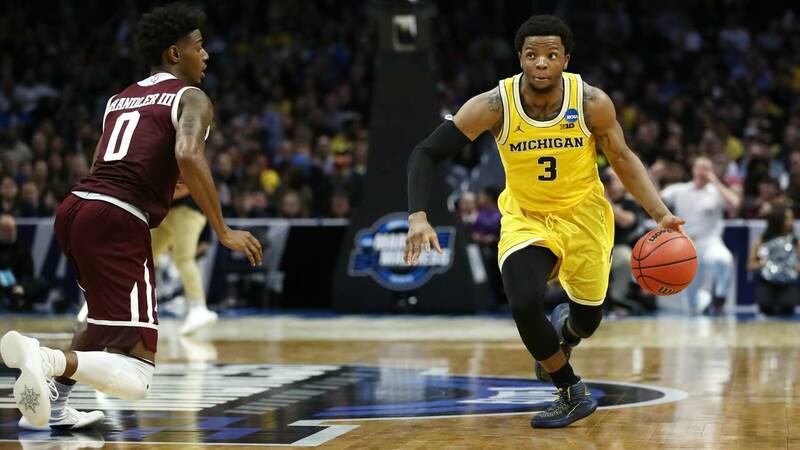 If Beilein needs a little extra offense from the point guard position or if Brooks struggles with increased minutes, DeJulius could be a very important player off the bench this season. DeJulius averaged 26.3 points, 8.1 assists and 7.7 rebounds as a senior at East English Village Prep. He's an excellent all-around offensive player, which makes him a perfect compliment to Simpson. Another four-star recruit in this year's class, Castleton is a 6-foot-10 center who can shoot from 3-point range. He's not Wagner, but Beilein would love to see him develop into a similar type of deep threat at the center position. Castleton only weighs 210 pounds, so it remains to be seen how he'll hold up in the paint at the college level. But if he can rebound and play solid defense, Beilein will give him minutes because of his ability to score inside and out. He averaged more than five blocks per game his final two high school seasons, so Castleton has a chance to be a presence for Michigan in the paint. While he was the only three-star in the five-player class, Nunez looks like a typical Beilein success story. 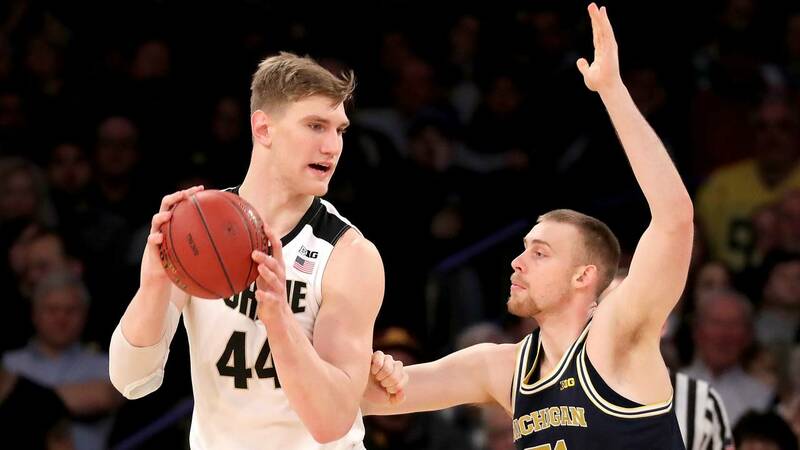 Whether it was Spike Albrecht or Abdur-Rahkman, Beilein is a master of turning unheralded recruits into excellent players at the Big Ten level. Nunez could flourish in the Michigan offense because he's a 6-foot-5 wing who can really shoot. He didn't get much time in the exhibition game, but Beilein has never been afraid to find minutes for shooters, which is how players such as Zak Irvin, Nik Stauskas and Robinson first got into the lineup. He's known as the walk-on who made a 3-pointer against Texas A&M in the Sweet 16 of the NCAA Tournament last year, and he came in to drill another one against Northwood in the exhibition game. Faulds will have to sit out this season due to NCAA transfer rules after joining Michigan from Columbia University. He's 6-foot-10 and was a three-star recruit in 2017. Faulds played at Columbia last year but accepted a preferred walk-on spot in Ann Arbor this year. Wilson joined Michigan as a preferred walk-on last season after averaging 19.2 points per game as a senior at Boulder High School. He appeared in two games off the bench during nonconference play.